For the last several months, both night and day, there has been road construction close to my house. A brand new bridge is being built in preparation for adding a new freeway extension. Driving down this road every day, we have watched the changes; however, the construction has been going on for a very long time. Since it has taken so long, and truthfully, since road construction is so common in this area, we just stopped paying attention to it. A while back, the highway folks put a lighted sign up that said “road switch” for a certain date, but that date changed to a later date. That date got changed again to a later date, and yet again after that. So, having seen the sign cry wolf so many times, we truly just became used to the dates changing to later and later dates and started to ignore the sign. But recently at my monthly “Learning to FLY!” prophetic school, one of the attendees was very anxious about the road switch, which the sign said was for that day. I didn’t give it a second thought when I drove by the sign with this date on it, figuring it was going to change again, but she was very concerned. She was nervous and anxious because the way she was used to going was changing, and it was night time – she couldn’t see very well in the dark. We told her to follow us, since she lives close by, but when we left the building, she was already gone. “Relax. It’s just a short delay.” When we got to the place where they were switching the highway, with great anticipation we looked for the change, but there was nothing different. Nothing had changed at all. It was just the highway under construction as usual. We chuckled about it, since there was no change yet again, and went home. Sure enough, I got through that little bottleneck within a few minutes, and moved swiftly onto the new road, passed over the new bridge, and through one last minor detour onto the entrance ramp to the main highway. It was absolutely fine, even in the darkness of pre-dawn that I drove through it. There were no problems. In fact, it was fun and different! Breakthrough into the new is finally here! This so speaks to me! The whole “new-highway traffic-switch” thing, along with the person who got so upset and anxious about the road changing prophetically speaks to me. That is our life right now, as believers following the pillar and the cloud! 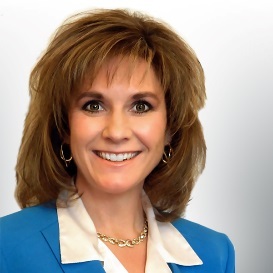 The road is changing – there is no doubt! A new way has already been built! There is a TRAFFIC SWITCH directly up ahead! 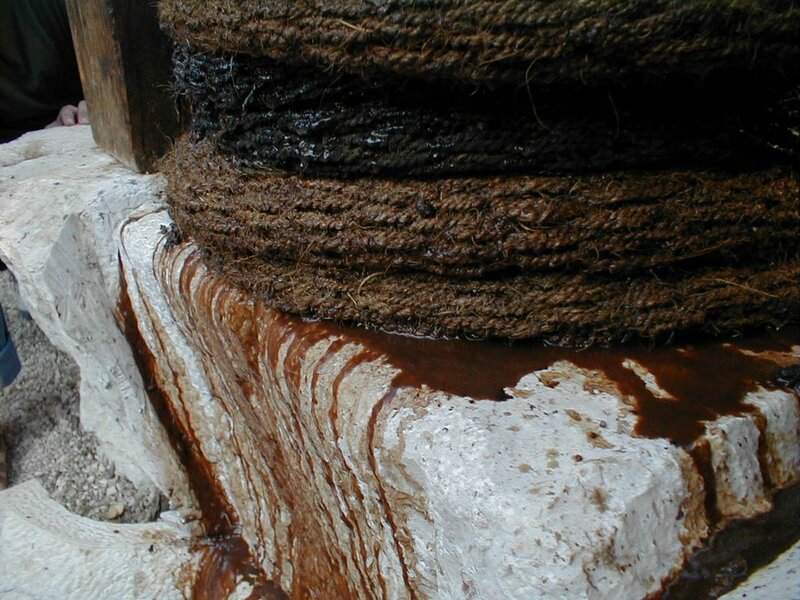 Even though the dates that we were expecting it have changed over and over, prompting us to become so used to the delay and calloused that we stopped looking for it – IT’S HERE! IT’S FINALLY HERE! Even though I was so used to the construction, and had gotten to where I ignored the signs – IT’S HERE! Even though there was a bottle neck and lots of brake lights and a slowdown right before the transition into the new, it’s HERE! Keep pushing through! Keep driving! Don’t let the brake lights stop you! Yes, you may experience a slowdown, and see lots of red lights, but believe it – your breakthrough into the new is finally here! “Relax! It’s just a short delay,” says the Lord of Hosts! Even if you experience one last final detour, before long you will be on the entrance ramp and on your way! Don’t be ANXIOUS! “Be anxious for nothing,” (Luke 12:25-26). Not being able to see in the dark creates anxiety for many. Don’t be anxious! None of us see well in the dark – even prophets only see in part and prophesy in part (see 1 Corinthians 13:9). Don’t forget that in the dark is where the Lord works best! “Tears may last for a night, but joy comes with the morning,” (Psalm 30:5). The darker the darkness, the greater the light when it finally breaks through (see Isaiah 60:1)! A diamond held up against black velvet shines just that much more! Don’t be anxious because the way that you have been used to going is changing! This is a GOOD thing! Even though it may take a little practice to learn a new way to “do” this Kingdom life, this is a good thing. Don’t be anxious. And for heaven’s sake, don’t leave your guide behind! Listen to the Holy Spirit as He offers assistance and extends His wisdom. Ask Him and He will tell you! He will lead you and guide you into all truth (see John 16:13). Don’t ignore the signs! Yes, these same signs have repeatedly said that breakthrough is here, breakthrough is here – but honest! BREAKTHROUGH IS HERE! It’s finally here! Finally: Don’t give up! Don’t allow the delays and hope deferred (see Proverbs 13:12) to cause you to become so calloused by the deferment of the breakthrough, the delays and the elapsed time that you stop looking for it! It’s HERE! 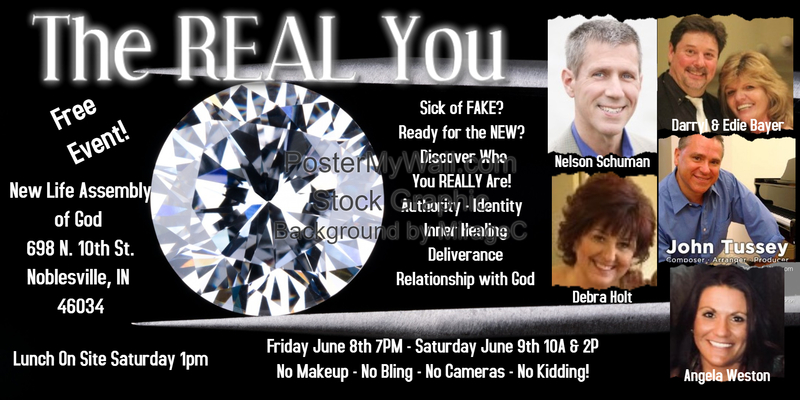 Be expectant! Expect the change and expect it to be GOOD! Expect it to be SWIFT! Be ready for the goodness of God to be poured out on your life in this time – REAL TIME – in the NOW Time! IT’S TIME! 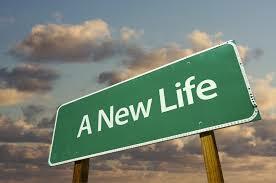 Enjoy the new road the Lord is giving you! *Certificates given for successful completion Saturday! 12103 Toepperwein, Live Oak, TX. 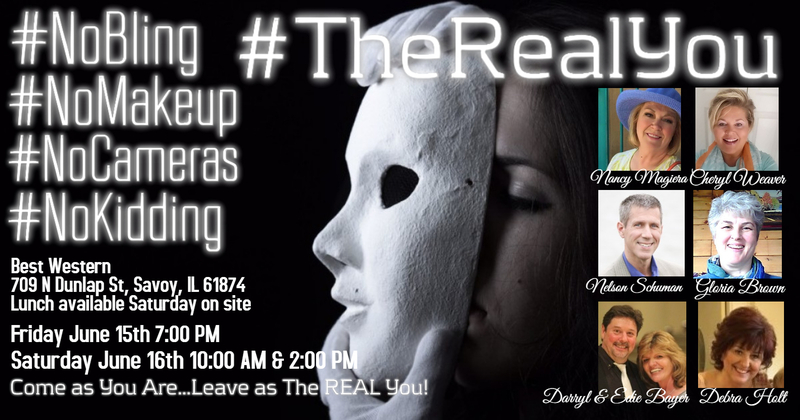 June 15-16th Savoy, IL – The REAL You Conference! 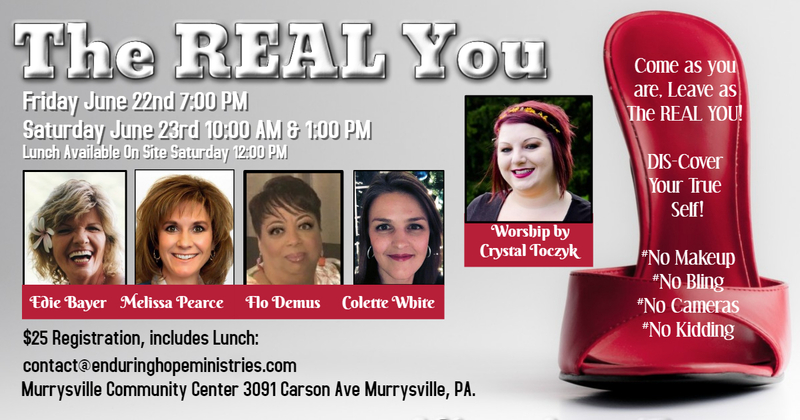 June 22nd – 23rd, Murraysville, PA – The REAL You Conference! 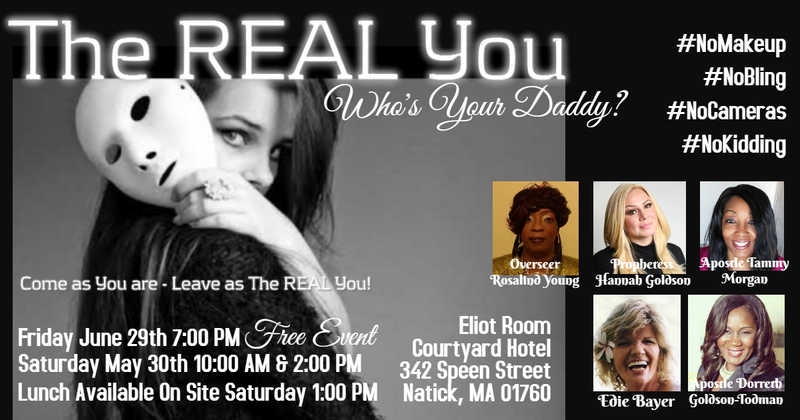 June 29-30th Natick, MA – The REAL You Conference!